US equities closed moderately mixed, sp -7pts @ 2161 (intra low 2154). The two leaders - Trans/R2K, settled +0.2% and -0.4% respectively. 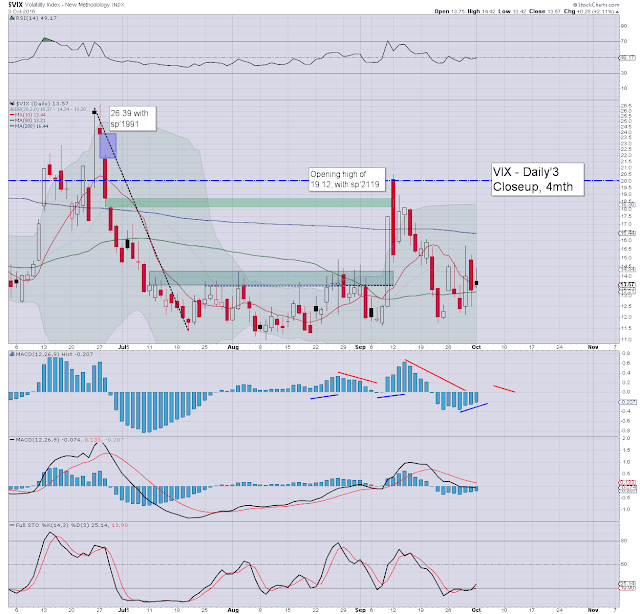 VIX settled +2.1% @ 13.57. 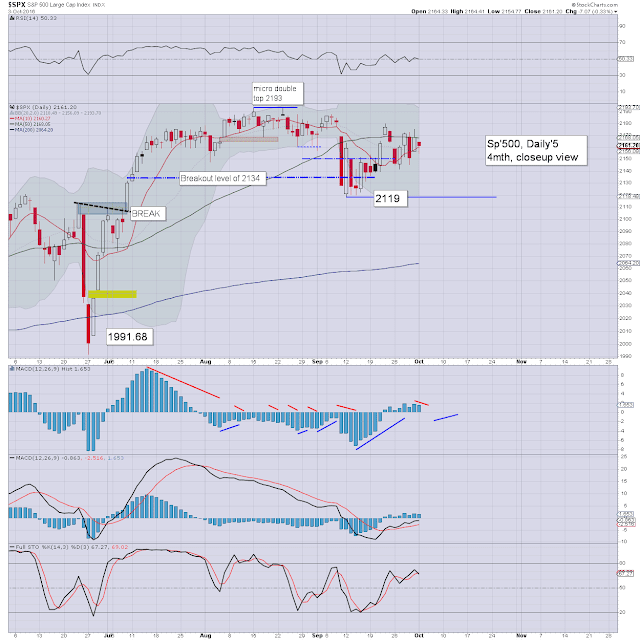 Near term outlook threatens further cooling to the 2140/35 zone, but with the 2180/90s on the menu. The closing hour Friday candle was the tell, and (not surprisingly) US equities started the week on a slightly weak note. 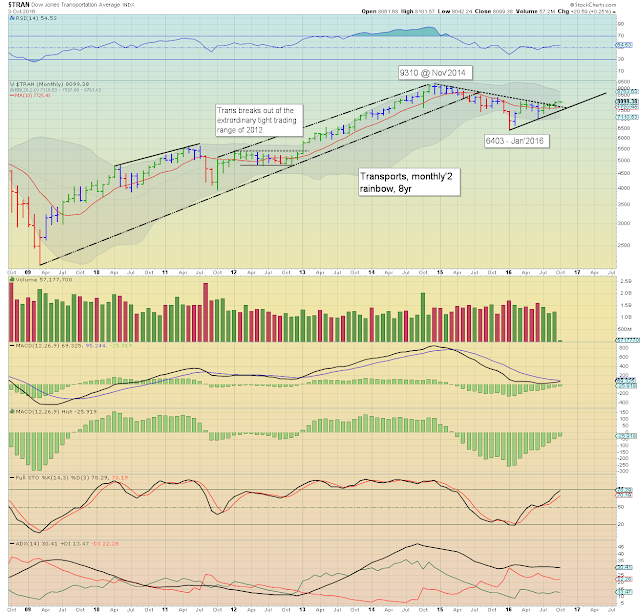 I would agree it could be argued broader price structure - from the 2119 low is a large bear flag. If that were to play out, it'd offer the 2080s.. before still resuming higher. I'd only turn provisionally bearish on a monthly close in the 2070s or lower. 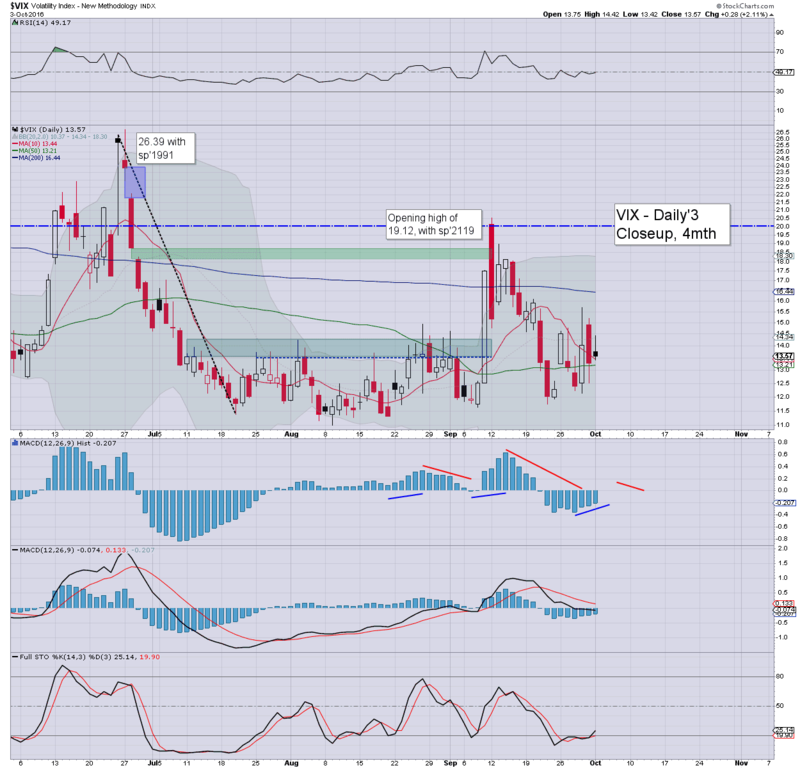 VIX is naturally a little twitchy as we're another day closer to the US election. The key 20 threshold looks out of range though. The transports started the month on a moderately positive note, and even managed the 8100s today. 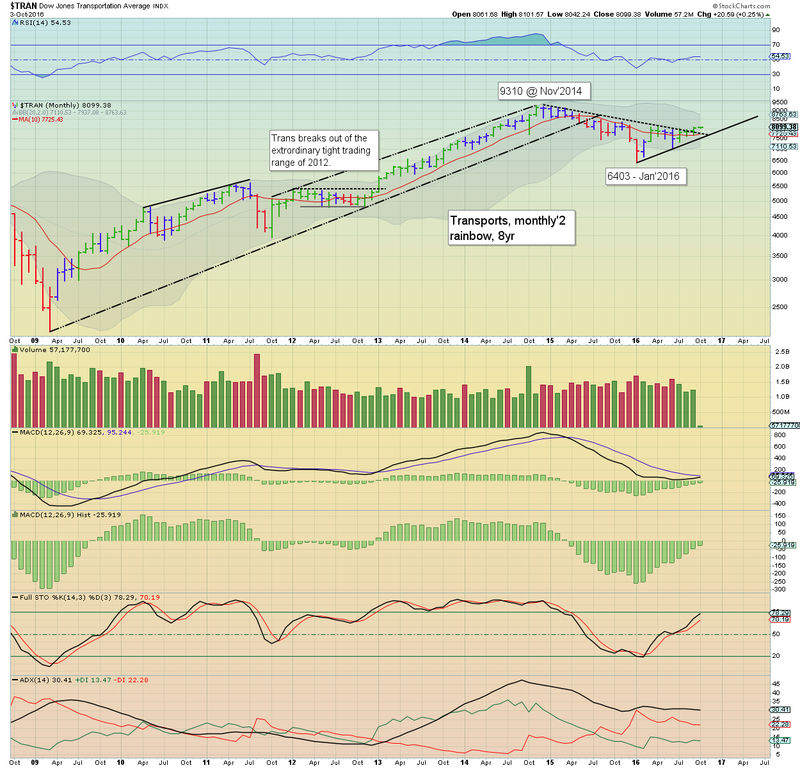 Having broken through 8k, next target are the 8300/400s.. which would likely equate to sp'2210/20s before end month. Note the underlying MACD (green bar histogram) cycle, set for a bullish cross in late Oct/Nov'. As things are, the Nov'2014 historic high of 9310 looks out of range until spring 2017.